Use Max moisturizer protect & hydrate complex every day as your regular day care. Especially recommended for sensitive skin prone to redness. Skin barrier or lipid barrier is possibly the most important function in preserving and maintaining the health and beauty of our skin. Optimally functioning Skin (lipid) barrier has vital role in preventing high trans-epidermal water loss (TEWL), keeping the skin tissue vital and skin young-looking, but in many cases this lipid barrier layer does not function properly. This is shown as redness, itchiness, rashes, dryness to extreme dryness or generally sensitive skin. 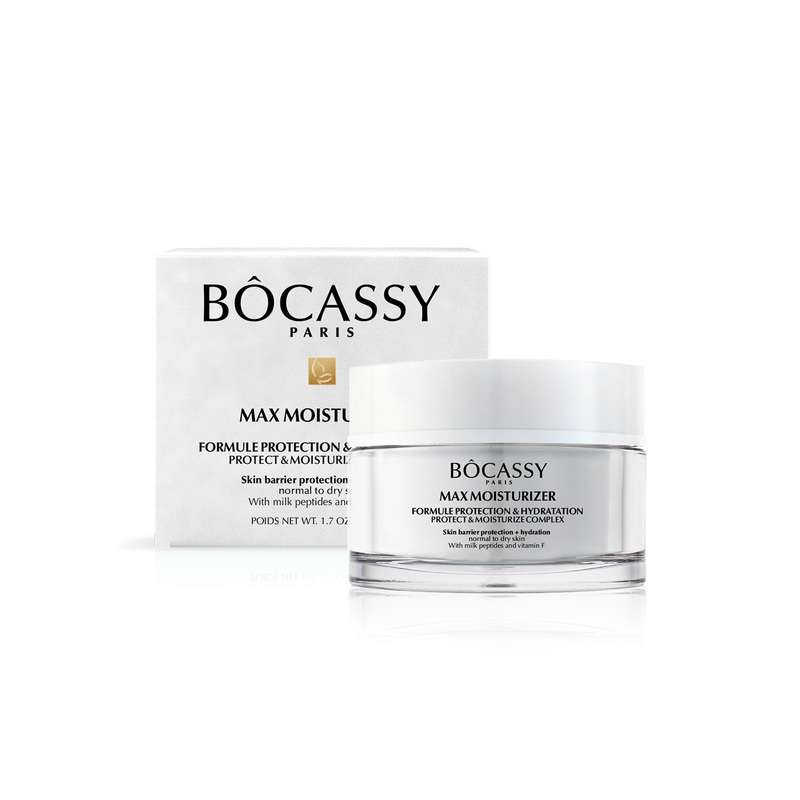 Laboratories Bocassy has launched this repair-cream to help restore and repair misbalanced skin barrier and to significantly fasten the time of recovery of damaged skin. 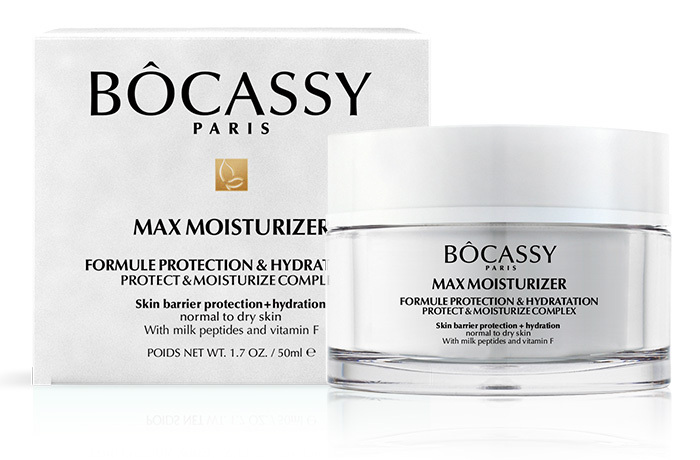 As any other product coming under the name Bocassy, Max Moisturizer Protect & Moisturize complex comes in entirely natural composition, absolutely un-invasive to even most sensitive skin, nurturing and repairing skin’s lipid barrier. It is proven to affect, accelerate and significantly reduce TEWL in damaged skin, thus showing significant and visible improvement when compared to skin’s normal recovery. It is affecting faster repair of skin roughness, increases the recovery, improves lipid barrier, reduces TEWL and increases hydration level in the skin by 32% (28 days). It contains soothing, non-irritating active ingredients: Milk Peptides have strong anti-aging properties, regenerate dry and irritated skin, repair skin lipid barrier, and reduce TEWL in people with dry and sensitive skin by 50%; Vitamin F restores lipid barrier, maintains hydration level in the skin; Avocado oil is a fantastic healer for depleted lipid barrier, recharging its defense; Marigold is known for its properties to strongly hydrate and revitalize the skin tissue; Chamomile soothes the redness, calms and restores skin barrier, etc. Enjoy this full spectrum of restoring and hydrating ingredients without causing irritations and redness in this light 95% natural originating formula.